Our YouTube exclusive card of the week is a Megacolony Grade 3. AUTO (RC) When placed, choose one of your opponent’s rear-guards, Rest it, and Stand one of your rear-guards. 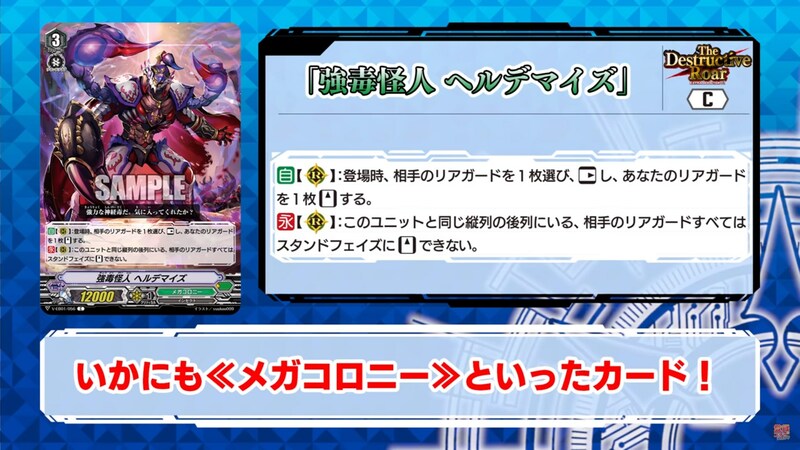 CONT (RC) All of your opponent’s back row rear-guards in the same column as this unit cannot Stand during the Stand Phase.